A winner of an international human rights journalism prize is to speak in Scotland, on a visit from India. Indian journalist, P Sainath, will be speaking in both Edinburgh and Glasgow as part of the Take One Action Film Festival which runs between the 23rd of this month and the fifth of next. He is a guest of the Scotland office of the National Union of Journalists. The first writer to win the Amnesty International Journalism Prize, Sainath is the rural affairs editor of The Hindu newspaper and spends 75 per cent of his time living in some of the poorest villages in India, where he writes and trains other rural reporters. Take One Action describes itself as “Scotland’s global action cinema project”. He is speaking following the screening of Nero’s Guests, a film about high suicide rates in rural India. In the past 10 years, more than 200,000 farmers in India have committed suicide. 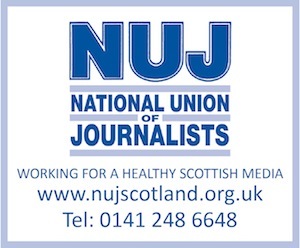 NUJ Scotland is involved with a national Suicide Prevention campaign run through a Scottish Government umbrella group, with a remit to focus on media coverage of suicide. Nero’s Guests and P Sainath are at Edinburgh Filmhouse, Wednesday September 29 from 18.10-20.10 and also at Glasgow Film Theatre, 18.00-20.00 on Thursday September 30.